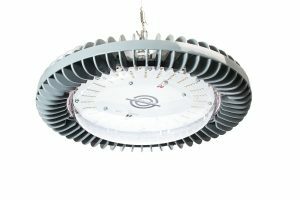 AQUALUMA, the Gold Coast-based manufacturer of commercial LED lighting, is determined to knock back the influx of cheap Chinese imports in the Industrial and Commercial LED lighting market with the release of a new competitively priced product that retains the company’s premium quality standards. The family owned business, which diversified into commercial LED lighting in 2010, operates from its purpose built facility at Helensvale in Queensland, using local labour from the Gold Coast. The company’s new product, ‘The Lite-bay’, is complimentary to its existing premium quality LED Highbay lights and is almost entirely made of Australian sourced components. Intended as a low cost alternative to imported luminaires, this Aussie made product has a 130w output, IP66 water ingress rating, marine grade epoxy powder-coated aluminium housing and heat sink, all at a market leading price and with a 3-year warranty. AQUALUMA Director Carl Amor said the Lite-bay was designed to provide a simple and cost-effective solution for clients requiring a straightforward luminaire with a high output where specialised optics, sophisticated controls and complex installations are not required. “The new Lite-bay allows us to compete in a new sector where clients need a straightforward lighting solution, without the level of control and optical options that Aqualuma usually offers. There is only one 130w model, efficiency levels are at a highly competitive 127 lumens/watt and we can beat the imports on price,” Mr Amor said. The AQUALUMA range is available across all states having a team of national distributors and direct sales, typically working with some of the country’s leading logistics, wholesale and big-box retail stores.